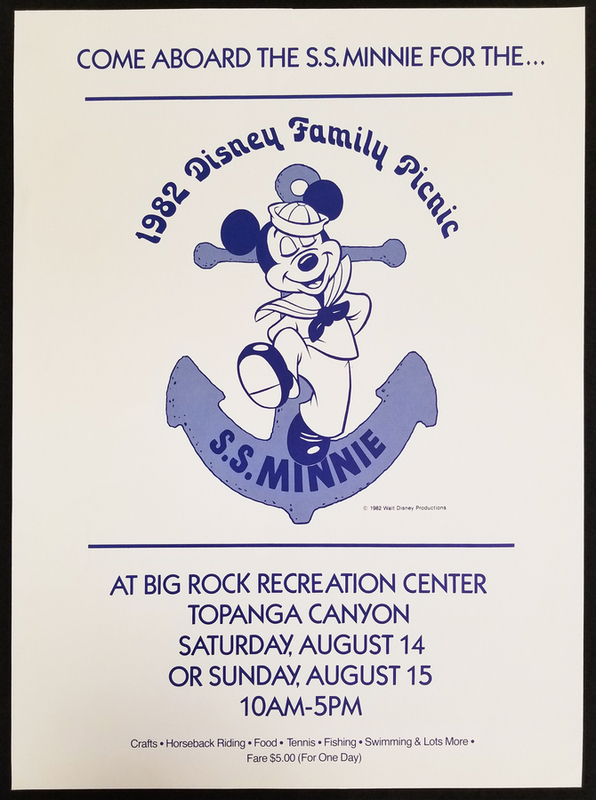 This is a 1982 poster created for the "1982 Disney Family Picnic" celebrations at Disneyland. The great image featuresa Mickey Mouse as a sailor in front of an anchor for the S.S. Minnie. The silk screened poster is in good condition with minor wear to the edges and measures 22" x 14". Ships rolled.